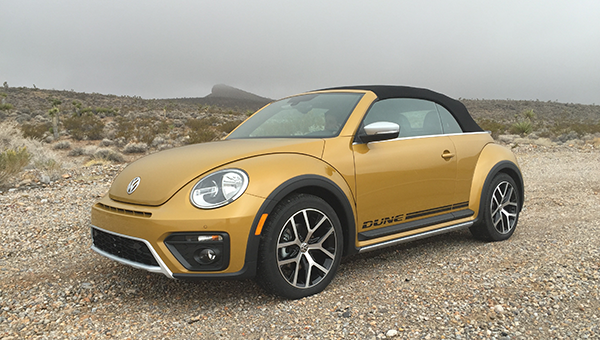 Volkswagen invited me (and 1107B) to take part in a week-long press event in Las Vegas and Palm Springs, where reporters came in to test drive the new Beetle Dune. 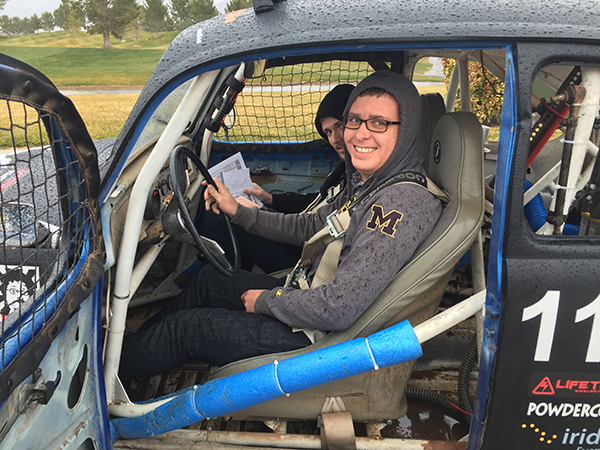 After driving the Dune, I didn’t thing anyone would be interested driving an 11 car (particularly in the freezing rain in Pahrump), but, as usual, I was wrong. 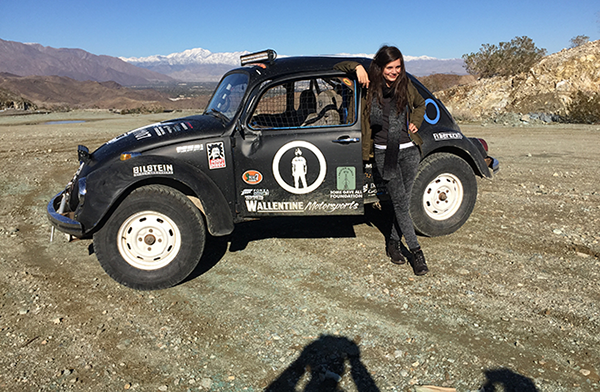 At least 1107B has a windshield (1107A does not), so a number of folks layered-up and took the car out for a spin, and the reviews were pretty positive. 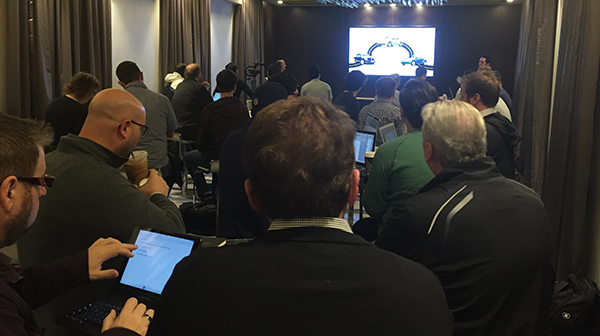 Everything kicked off with a briefing at the Vdara on Tuesday, then it was off to drive the cars. I actually got to drive the convertible model from Vegas to Pahrump and back while Chris Stahl of VW did a phoner in the passenger seat. No, I did not take it off any sweet jumps. From there it was off to Palm Springs, me by plane, the cars at the hands of international automotive writers. I got there first. Winning! Also, that’s James Halfacre right there making both cars look awesome. 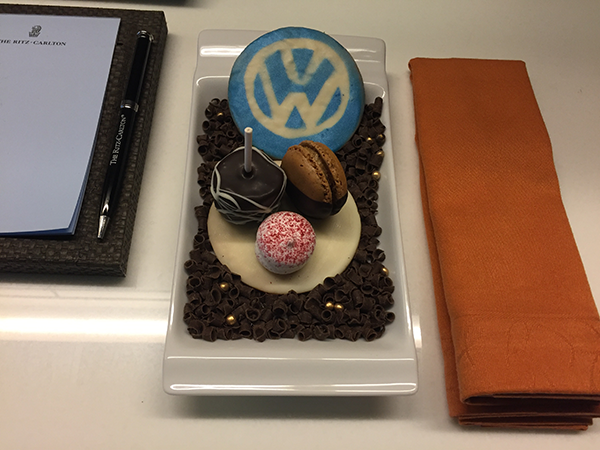 VW put on a fantastic event and the PR team were wonderful hosts. This greeted me in my room. I wasn’t sure whether to eat it or just admire it (I eventually ate it). 1107B is already on its way back East, our work with is done. 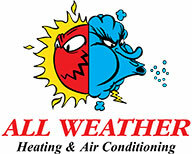 1107A is being prepped by Brian Wallentine for the upcoming Mint 400 in mid-March. More photos from the Beetle Dune presser are here.